In ancient mythology, Persephone, the daughter of Zeus and the harvest goddess Demeter, is the Greek goddess of spring and awakening. But what happens when you take Persephone, who roams between the underworld and earth, out of ancient Greece and place her in contemporary New York City, amidst somewhat of a existential crisis? 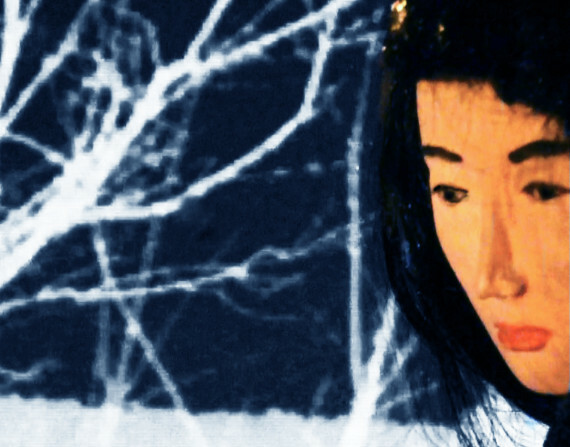 A hypnotic new multidisciplinary performance titled "Tungsten (artery)" poses a modern response to the timeless myth, combining shadows, Japanese Bunraku-inspired puppetry, sound, text and projected video to yield a story that floats between life and death, reality and fantasy. 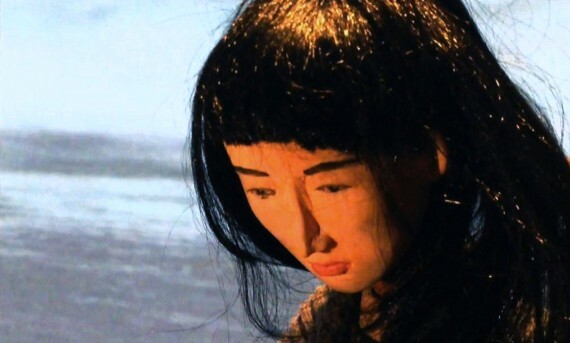 Written by Erik Ehn and directed and designed by Janie Geiser, the piece will be presented as a work in progress as part of the Getty Villa's Theater Lab, produced by Automata in collaboration with Los Angeles Performance Practice. "I was approached from the Getty Villa about their works in progress series for a new work," Geiser explained to the Huffington Post Arts in an interview. "Of course it had to have a relationship to the classical world. I just started reading a lot of the plays and I thought that Persephone didn't really have her own story yet. Her story also ties in a lot with other things I've been thinking about, the environmental changes that are happening with global warming, and the going back and forth between life and death, which is something we're all aware of. She's one of the few figures in mythology who can do that." Geiser worked with Ehn to create a story that's not so much an adaptation, but, in her words, "using the story as kind of a springboard." The piece revolves around Cora, a contemporary Persephone commuting by train to New York City, an annual ritual before the oncoming of spring. However, due to massive disruption in the earth's natural cycles, the cycle of the seasons has been thrown off course. Cora thus can't quite remember where she is coming from or where she's going, and endures a search for meaning as the life she knew before begins to unravel. "I was not interested so much in making an ancient Greek piece so we took her figure into the present and -- okay, if she's been going back and forth for thousands of years she's exhausted, she's confused, and sort of going forward with that." 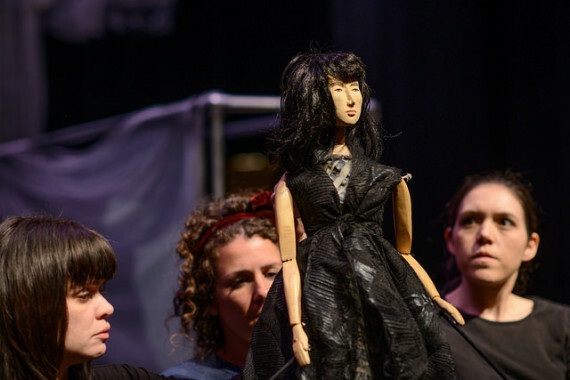 Perhaps the most unconventional part of the piece is the fact that the entire play is enacted via painted wooden puppets, manipulated by actors who operate them visibly, dressed in black. "I think the great thing about puppets is, they are who they are on stage. Immediately you have a character, you have the character of Cora. She is who she is and how she looks is a great personification of her character... The puppets really embody, that's the best thing that they do. In all of the physical senses of that word -- they give it a body." "And then, they're also able to do all kind of things that are difficult for humans. They can flip in the air, they can walk in the air, they're not bound by gravity. Using those moments of the puppets -- sometimes they're attached to a set piece but they're often just going out into the void of the theater and walking in the air. They lend it kind of an element of otherness which is really interesting for the piece." "Tungsten (artery)" is scheduled Friday, February 20, 2015, at 8:00 p.m.; Saturday, February 21, 2015, at 3:00 & 8:00 p.m.; and Sunday, February 21, 2015, at 2:00 p.m. Tickets are $7 and are available by calling 310-440-7300 or visiting the Getty website.